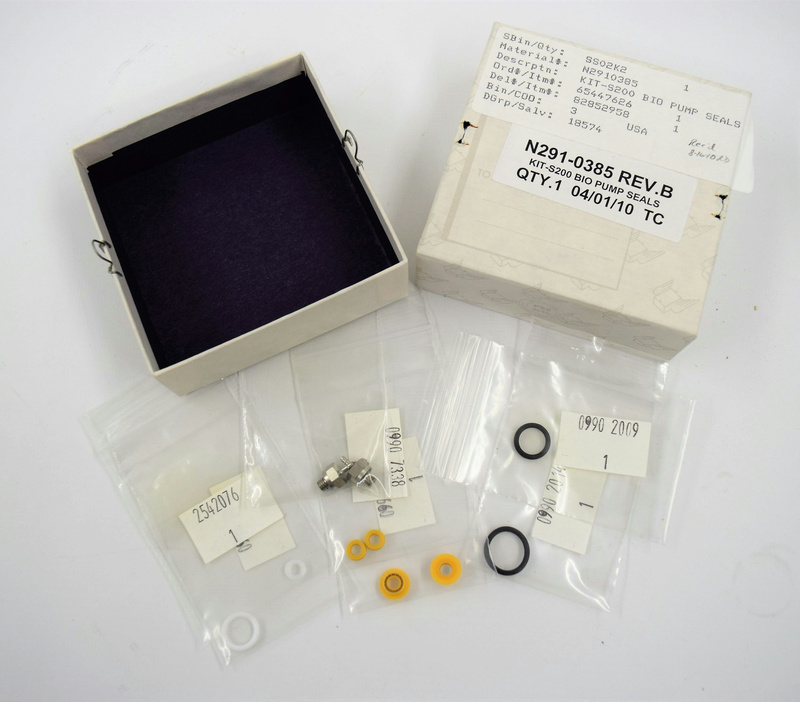 Perkin Elmer N2910385 Kit S200 Replacement Bio Pump Seals LC Chromatography . New Life Scientific, Inc. This part is in the original packaging, unused, and likely received as an extra for the many LC systems, parts and accessories that NLS stocks. Replacement seals for Perkin Elmer Series 4, Integral 4000, PerkingElmer Series 200, 400, 410, Model 250 and 620 Pumps built after December 1989.